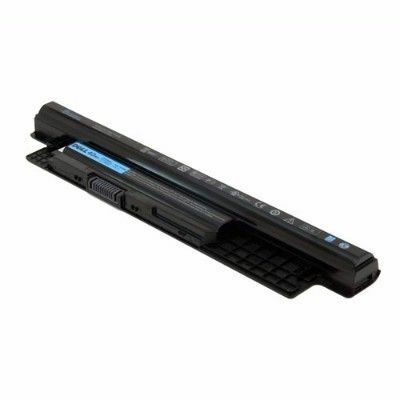 Dell Original 4 Cell 40WHr 14.8V Battery for Inspiron Sleek and High Quality Built The Dell Inspiron Original Battery is designed to deliver power and efficiency to your laptop. The sleek design and lightweight body make it easy to carry. Made of high-quality material, the battery ensures scratch resistance and great performance for a long run. This battery ensures that your laptop stays unplugged for longer hours, giving you more time to play or work when you are in meetings or outdoors. Current Capacity and Input Voltage Backed with 4 Cell Lithium-ion battery, the Dell battery offers you longer stand by and user time. It requires input voltage of 14.8V which enables it to work properly. Now, you can watch videos or work for a longer time, without any hassles. Compatibility The Dell Inspiron battery is compatible with different models of Dell including Inspiron 14(3421), Inspiron 17R(5737), Inspiron 14R(5437), Inspiron 14R(5421), Inspiron 15(3521), Inspiron 15R(5537), Inspiron 15R(5521), Inspiron 17(3721), Inspiron 17(3737), Inspiron 17R(5721), Latitude 3440, Vostro 2421 and Vostro 2521. The product comes covered with 1-year Dell Warranty. Above product description is for Dell Original 4 Cell 40WHr 14.8V Battery for Inspiron.